When you buy new wheels in Hickory, NC, you need to think about their weight, size, and material. Adding new wheels is a simple and effective way to change the appearance of your car. Many different varieties and styles of wheels and rims exist on the market, but there are several important factors to consider when you go to purchase new wheels for your vehicle. First, think about the weight of the wheels. Keep in mind that larger rims made out of heavier materials will change how your vehicle handles and add to the amount of weight your vehicle has to carry. Second, consider the size of the wheels. While many people like the look and the performance capabilities that can be obtained by increasing the inner diameter of their vehicle’s rims, this choice requires the purchase of new tires. 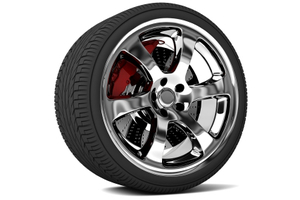 Larger inner rims can also affect how responsive a vehicle is while it’s in motion. Third, you may want to consider equipping your vehicle with alloy wheels. These wheels, which dissipate heat easily, are ideal for driving in many different situations and conditions. Whether you drive up in mountainous areas on a regular basis or constantly find yourself in stop-and-go traffic, alloy wheels may be the way to go. If you’re ready to put new wheels on your vehicle, make sure that you work with a company you can trust. 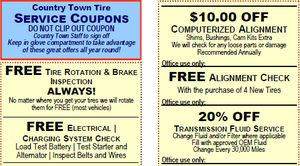 At Country Town Tire & Auto Service Center, we serve the Hickory, North Carolina area and have a wide selection of wheels to offer. Give us a call today for more information!